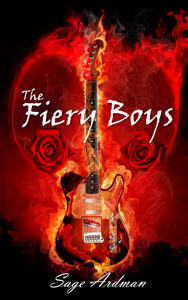 Start reading The Fiery Boys now! This isn’t just a few pages to whet your appetite. This preview is the first twenty-two chapters. That’s 181 pages, about half of the book! What do you get if you buy the book and read the remaining chapters? You get more character development, more fun with the Fiery Boys, plus you get to see how the tour ends.